Sending a paper invitation home with every boy at school can be a very effective marketing tool for your pack. To give parents advance notice of join night, arrange to have flyers go home with boys one week prior to the school talk. 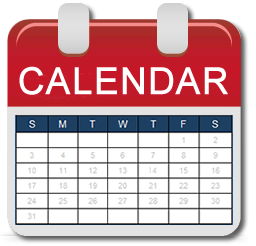 Plan ahead: every school and school district has its own flyer approval process, so please remember to budget time for this. Your district executive will work with you to get your flyer approved, but parents at your school are more likely to have a relationship with the principal, secretary and other school administration, which may help speed the process along. If your school does not allow flyers a postcard can be mailed directly to boys. Contact your district executive to coordinate printing and distribution of flyers and other materials. 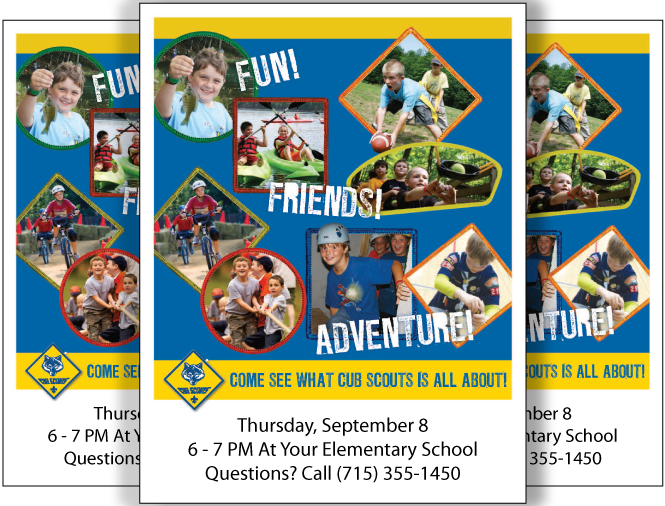 All Boys in Grades 1-5: This is Your Invitation to Join Cub Scouts! Many schools have stopped distributing paper flyers and instead now utilize electronic flyers (e-flyers). An advantage of e-flyers over paper flyers is that there is no chance that their child will lose the invitation before they get home. Email the website administrator your flyer and check to make sure it is published at least two weeks before join night. Customizable e-flyer templates can be found at the BSA Brand Center.